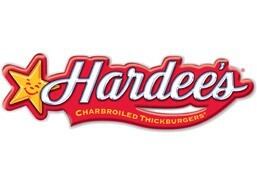 Hardee's is currently closed for delivery and it will open at . Choose 4 Sandwiches From Chicken Fillet,Big Deluxe,Chicken Santa Fe Or Mushroom N Swiss + 4 Skin On Fries + 4 Drinks + 2 Cinnamon N Raisin And 2 Chocolate Chip Cookie. Chargrilled premium 100% Angus beef, covered in our unique mushroom sauce and topped with melted Swiss cheese and special black pepper may. Chargrilled all-beef patty topped with onions, dill pickles, ketchup and mustard on our special Hardee’s ® bun. Enjoy an amazing match of 100% chargrilled beef patty and thinly sliced beef pastrami topped with Dijonnaise sauce, all inside our famous Brioche Bun. Enjoy an amazing match of 100% chargrilled Angus patty and thinly sliced beef pastrami topped with Dijonnaise sauce, all inside our famous Brioche Bun. Chargrilled 100% Angus beef topped with delicious pepper jack cheese, special black pepper mayo and fresh vegetables on our famous oat dusted bun. Fully loaded with premium Philly cheese steak on 100% chargrilled all-beef patty, topped with American and Swiss cheese, sautéed onions and special black pepper mayo in a unique boxed shape tortilla bread toasted to perfection. Chargrilled all-beef patty, topped with melted Swiss cheese and finished with our unique mushroom sauce on our special Hardee’s ® bun. Chargrilled all-beef patty topped with melted Swiss cheese and our unique mushroom sauce on our sesame bun. Chargrilled all-beef patty topped with jalapeno coins, Pepper Jack cheese and spicy Santa Fe sauce on a layer of fresh tomatoes and lettuce on our sesame bun. Chargrilled all-beef patty topped with Philly cheese steak, American and Swiss cheese and mayo on our special Hardee’s ® bun. Two chargrilled all-beef patties, topped with two slices of American cheese, lettuce and finished with our signature classic sauce on our special Hardee’s ® bun. All-beef chargrilled patty topped with American cheese, lettuce, tomatoes, onions, dill pickles, mayonnaise and ketchup on our special Hardee’s ® bun. Delicious chicken tenders, fresh lettuce, melted American cheese and your choice of dressing. All wrapped and toasted to perfection in our world-famous tortilla. Santa Fe Chicken + Pepper Jack Cheese + Grilled Onion + Santa Fe Sauce + Jalapeno + Fries + Drink. 3 Pcs Tender (Boneless Chicken) + 1 Sauce. 3Pcs Tender (Boneless Chicken) + 1 Sauce. Natual-cut french fries loaded with Cheddar Cheese, Sante Fe sauce and Jalapeno coins. Chicken nuggets cooked up crispy and golden brown. Premium quality potato cut into curls and cooked to golden crisp. Chargrilled all-white meat chicken with onions, shredded cheese, tomato and cucumber on a bed of salad mix. 4 nuggets, small fries, a small drink and a free toy. Beef burger, small fries, a small drink and a free toy. Cheese beef burger, small fries, a small drink and a free toy. Our trademark chocolate chip cookie, brought to you fresh and crispy from the oven. A freshly baked Cinnamon bun filled with raisins and topped with a delicious coat of flavoursome icing. Creamy, hand-scooped ice cream blended with real milk and strawberry syrup, then finished with whipped topping. Creamy, hand-scooped ice cream blended with real milk and chocolate syrup, then finished with whipped topping. Creamy, hand-scooped ice cream blended with real milk and vanilla syrup, then finished with whipped topping.